The world of DIY cosmetics is growing in leaps and bounds. The advent of the internet with sites and online forums such as Youtube pushed this progress along. Bloggers like to share every ‘insider’ tip that comes to mind. And people watch, listen, and take the advice at face value when it comes to DIY shampoos, makeup, etc. But if you can ‘do it yourself,’ why you would ever buy a pricey little bottle of shampoo or moisturizer? You may as well take a page out of Severus Snape’s textbook and be your own potion master. We have even written our own DIY shampoo and face serum tutorials if you’re looking to dabble with the different ingredients. But the truth of the matter is as follows: although DIY shampoo and soap can be cheaper, they are not always as good as the big brand soaps. Shampoo companies know what it takes to create a shampoo that works because they’ve really done their research to formulate something that sells. In the greater cosmetic market, an element of quality control and recipe standards come into play. As a result, it is best to do your homework before you decide to go down the DIY path. So what exactly is DIY shampoo anyway? Well, simply put, it’s shampoo that you make at home rather than buying. Whereas most people get their shampoos in a store, DIY shampoo involves selecting your own ingredients and scents to make a shampoo that includes items you love and need (and can pronounce the names of!). Your shampoo is only as good as the ingredients it contains. Not all essential oils were created equal, because some essential oils are purer than others. It all depends on the source. When you buy from a reputable cosmetics company, you can rest easy knowing you have the purest and best essential oil available. The bottle of essential oil you get at Walmart may be less expensive, but you get what you pay for. The cheaper oils have therapeutic qualities that differ slightly, even among the same plant grown in different regions under varying conditions. The lower-quality oil will lack some of the therapeutic properties found in other purer versions. So, your shampoo may smell just as nice but not necessarily nourish your hair to the same extent. It comes down to synergy and balance to create a product that truly works wonders. 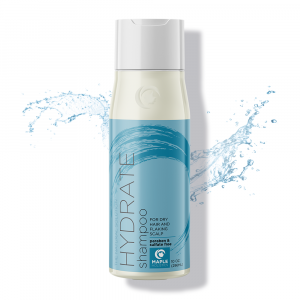 More than just the latest kombucha brand, synergy is a key element in creating the perfect shampoo for the best shower experience. Synergy is the interaction of elements that, when combined, produce a greater total effect than the sum of the individual parts. 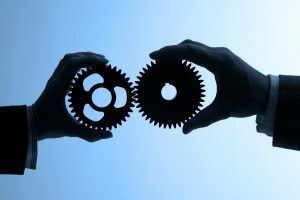 The concept of synergy traces all the way back to Aristotle and has various applications. For example, if you mix together the correct quantities of elements A, B, and C, then the resulting formula of ABC is much more effective than using A, B, or C individually. This is the basis for all recipes. When you mix every ingredient in its proper measurement, you are left with something exponentially more delicious than just the sum of its parts. When you mix your own DIY shampoo you run the risk of jeopardizing synergy, forming a shampoo that doesn’t work as desired. Cosmetic companies do their homework by employing scientists that find the perfect balance of ingredients to produce specific results. Even if you have all the correct elements, you may not get the outcome you want. In order to effectively produce a formula, it is essential to have the correct quantity of each ingredient. Even the slightest variation can result in a complete imbalance. In fact, if you have the wrong balance of ingredients, you can do more harm than good. Essential oils and other elements react with each other in different ways. Moreover, a small difference in quantity can spoil the whole batch. 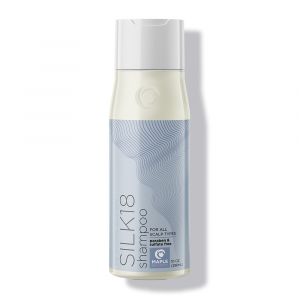 Another important note is that if the formula doesn’t balance well with the ingredients already contained in the shampoo, you will ultimately be wasting your time. Think of it like baking. Baking is a science that requires you to have exact proportions. Besides quantities, timing is an integral component to creating the perfect cream puff. You need to stay on your toes and know when to mix which ingredients with each other, when to heat the oven, and how long to let sit in order to get the ideal little sphere of heaven. In order to keep your pastries delicious and your hair voluminous you’ll need to stay on your toes, always knowing what the mix needs during the creation process. Read your shampoo ingredients carefully. Too much salt or too little oregano can spoil the whole meal. When it comes to cosmetics, you are dealing with different variables. If you are unfamiliar with an ingredient you may feel the need to add more than needed. But the negative results of a disproportional shampoo may be less immediately noticeable than a terribly salty taste in food. If your unfamiliarity with these oils could lead to devastating results, I recommend you leave it to the professionals. Granted, most of the people in the DIY shampoo community have undoubtedly done their research. 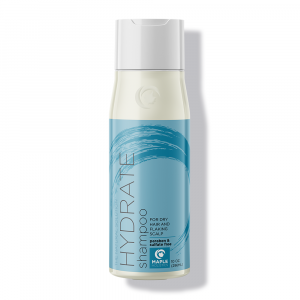 However, they may only offer a shampoo formula that works well for them, using specific quantities that work just right for their body chemistry. Finding the right DIY for you is essential, so stay aware of this factor to maximize effectiveness and avoid possible toxicity. Many people have asked if adding only one of the ingredients would help. 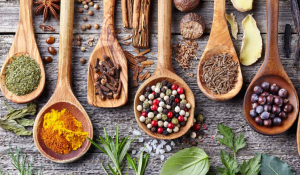 Selecting any ingredient with therapeutic properties and adding it independently to a compatible base can harbor the individual benefits. The effects from singling ingredients out by no means compare to the power of a quality synergy blend. 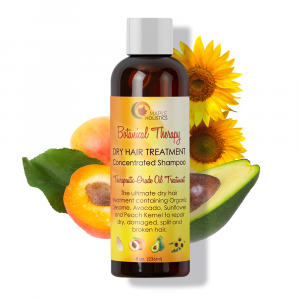 There is no denying that adding a bit of tea tree or argan oil can benefit your hair. 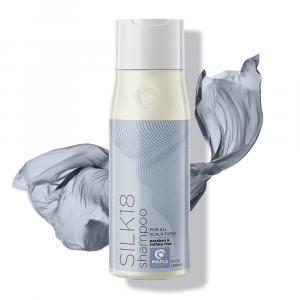 However, cosmetic manufacturers tailor their shampoos to your hair type to give your hair the specific treatment it needs. 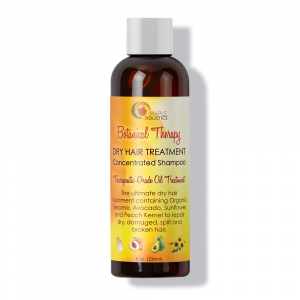 Adding just one essential oil (that you paid good money for) to a compatible base may only give you a fraction of the benefits a proper shampoo provides. Bottom-line: if you want the best bang for your buck, shelling out a few dollars for shampoo may be your best bet. Attempting to enhance manufactured cosmetics is something you may not want to experiment with. When it comes to your health and well-being, trust the research professionals. Make sure the product you’re using has a formula proven to be effective. Natural ingredients for DIY shampoo. Didn’t we just spend this whole time talking about why DIYs aren’t worth it? Not always. Like shampoo companies, if you’ve done your research, you are similarly qualified to create a successful shampoo for your hair. If you do it yourself, you know exactly what elements you’re putting in your hair and which to steer clear of! This homemade potion can provide just the essentials without added preservatives or harmful agents. Because it’s more basic and lacks commercial chemicals, the DIY product may not foam, but it will cleanse just as well and at a much better price. If you know which blend best benefits your hair and how to produce it, then you can save hair health (and dollar$) by making it at home. There are plenty of guides to yield the desired results for each hair type. Listen to the wisdom of the interweb. Scientists know their stuff – they’ve devoted their lives to researching the effects of each ingredient, various mixtures, and timing in hair treatment formulas. Trust reliable sources to make the best decisions as to how you cater your personalized formula to your hair needs. Thanks for the visit! If DIYs are something you’re down to try, check out our guide here at Maple Holistics! Whether you’re itching to use your cauldron or buy your food pre-made, find the shampoo that’s right for you. Not just anyone ought to pursue the DIY route. Creating the necessary formula at home requires extensive research and practice to get timing, quantities, and mixtures just right. If the DIY process doesn’t really sound like your thing, you can find dozens of ready-to-go natural shampoos that can do wonders for you hair!